There's nothing I could do to repay her back for all that she's done and sacrificed for me, but I love to spoil her in any way I can (which is most likely going to be chocolate and food hehe). Today I'm sharing with you some lovely designed cards for your amazing mother, as well. Print out the box template and card accordion. On both the box and card templates, fold on the dotted lines. 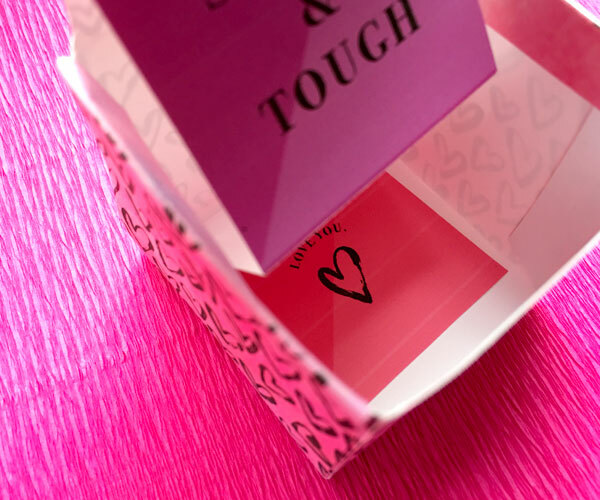 Glue the bottom of the card to the inside bottom of the box. Now hand over to mom with a huge hug and a smooch on the cheek!